When did one's diet become a religion? Watching a low carb versus high carb debate is like watching the Crusades; no horses or swords, just powerpoint slides, and straw man arguments. After two, mind-numbing hours you end up with a bunch of nothing—no opinions are changed and everyone's time is wasted. Everybody goes back to their cult-like tribes, ferociously posting their gripes on the internet. Each diet presents its own rules, canon, methods of cooking, and the timing of meals. If you were to read a diet book published today without looking at its title, you'd think you were reading from a religious text. With each new study that appears, the blogosphere explodes with "proof" headlines, celebrating their vindication. That is until another one comes out refuting that diet. Then, the bloggers—or druids—return to their keyboards, attempting to debunk the study; confirmation bias and cherry-picking at its finest. It isn't difficult to sit here and continue to expose the various diets and their "clans," or annihilate the authors of their sacred books, so I've decided to approach it from a different angle. Can all this be a good thing? I am fascinated by the "Road to Damascus" moment that some people experience. I refer to Saul of Tarsus, who later became the Apostle Paul after seeing the risen Christ on his way to Damascus. It can only be described as a miraculous moment that turned a hard-boiled, Christian-hunting Pharisee into the man who penned nearly half of the New Testament. It's amazing that the person who witnessed—perhaps ordered—the execution of Saint Stephen, wrote some of history's most powerful statements on love. Paul's first letter to the Corinthians rivals Shakespeare for the "most quoted" words during wedding ceremonies. See 1 Corinthians 13:4-8 and Sonnet 18 for a refresher. There are countless stories of faith-based conversions. Cassius Clay converted to Islam and became Muhammad Ali. Malcolm X, following his pilgrimage to Mecca, left the Nation of Islam after he awakened to their corrupt and divisive ideology. To show their benevolence, they assassinated Malcolm in 1965. Incidentally, Ali sided with the NOI leader Elijah Muhammad during the fallout, which Ali deeply regretted later in life. Marilyn Monroe and Sammy Davis, Jr. converted to Judaism. St. Augustine, John Wayne, and even Oscar Wilde—a hedonist—converted to Catholicism. Wilde's first grave had an inscription from the Book of Job, a book famous for its titular character experiencing great suffering but staying loyal and faithful to God. What compels someone to convert from one faith to another, from no religious views to faith, or vice-versa? A common reason is known as "rock-bottom." It is a well-known phrase in the addiction-recovery world. It is not easily definable since it is different and unique to each person. It usually points to the lowest point in a person's life, when it seems like things couldn't get any worse. Many people, when drowning inside misery's waters, find salvation in the form of faith. Their new faith not only rescues them but gives them a life of purpose. A famous example is rock legend, Alice Cooper. He bit the heads off chickens—a myth—and sang about blowing up his school. He came close to death on multiple occasions due to alcoholism, until he found Christianity. Cooper would likely argue that it found him. He's still shock-rocking but has added evangelism to his list of duties. In health, rock-bottom can be reached without substance abuse. It can take the form of morbid obesity or a cardiac event. It's the catalyst that says, "I need to do something. I don't want to die." Their life preserver may come in the form of Atkins, protein power, or vegetarianism. Do you know what happens next? The diet saves their life. As a result, the person develops a faithful relationship to the diet. Can you blame them? Bernard Malamud, in his book, The Natural, wrote "We have two lives, Roy, the life we learn with and the life we live with after that. Suffering is what brings us toward happiness." It's the diet, regardless of its scientific backing, that serves as the tipping point between a life of suffering and a life of happiness. Therefore, it's not unusual to see a formerly obese person, or someone recovering from a heart attack, dedicate their days in a pseudo-worship of their new dietary choices. It's not uncommon to see these transformed people attempt to evangelize their friends and family into the diet that saved their lives. Wouldn't any of us? Guilt and compassion are powerful human emotions. They are strong enough to spur-on certain behaviors and put a halt to others. This was the case for Karl Schneider, a member of the Hitler Youth. Karl joined the Nazi Air Force at 18 years-old, with the intention of helping to fulfill the goal of a thousand-year Reich, until he saw the stormtroopers massacre a group of Jewish people. The images and sounds he saw shook him to his soul. Even possessing a soul was unacceptable amongst the Hitler youth. From the maniacal chancellor, himself: “I want to raise a generation of young people devoid of a conscience, imperious, relentless, and cruel." Karl began to disobey orders and sabotage bombs. Over the next twenty years, he gave away two-thirds of his salary to Jewish orphans. He eventually moved to Israel and asked to be converted. It would be an understatement to say that the Rabbis were jolted by this man's story, but they allowed him to study, convert to Judaism and become an Israeli Citizen, under the name Reuel Abraham. Have you ever seen videos of animals in horrid conditions, unceremoniously slaughtered for consumption? If you have, you either blocked it from your memory completely, switched to humanely farmed food, or became a vegan. There are those that intentionally use that footage to stir specific emotions on the viewer. If we are being honest, we would call it what it is: an atrocity. Our intestines squirm to find a hiding place when presented with the noise and visions of what we saw. Is it any surprise when someone swears off meat because of the trauma? Clarisse Starling tried to rescue the lambs from slaughter in Silence of the Lambs, to no avail. Millions of people across the country attempt to deafen the sound of the screams by turning to a vegan or vegetarian diet. There are those that do it solely for the "health benefits," but I've yet to see a compelling argument for that. If an alien race came to earth and visited a KFC chicken farm, they would ask, "What sort of barbarism is this?" Insert your favorite martian-voice, here. A more practical reason for conversion is the idea of contrast. "If I started living in a such-and-such manner, what about be the result?" If a person's current lifestyle, labeled A, has delivered a specific outcome, what would lifestyle B yield? I don't wish to give the impression that all "good" conversions take place in one direction. There are many people who grow up within the framework of the church or synagogue, who are unmoved and dissatisfied with their course of life. They may find that Buddhism or Naturalism provides a lifestyle that brings them more of what they seek. I left my childhood faith of Islam and found liberation in atheism as a teen. The opposite also takes place, for example, Aleksandr Solzhenitsyn and CS Lewis abandoned atheism for Christianity. Lewis went on to become the 20th Century's greatest Christian author. I left atheism in 2015. When the person experiences a tremendous improvement between lifestyle A and lifestyle B, why go back? I believe the idea of contrast provides the strongest urge for dietary conversions. It's the contrast, not the diet. Every month, new diet books get published by the truckload, and every month, new "diet sects" are formed, complete with their private FaceBook groups. The Contrast Phenonemon explains this. The diet of the average person is sloppy and unstructured. Meal timing, order, quality, and quantity lack coherence from day-to-day. Breakfasts, lunches, and dinners are either on-the-go or lacking nutritional value. Snacks are limited to whatever sweets are shared around the office or what looks good at the Starbucks counter. It's possible that they do not feel any major adverse effects. Well, until it's too late—see the rock-bottom paragraph. Usually, they come to terms that fatigue, poor sleep, higher body weight, and body fat are "normal." Then, for one reason or another, they stumble upon a diet book—perhaps a stocking stuffer put there as a hint. The typical diet book is predictable in its construction. They create rigidity through allowable and "forbidden" foods. They control portions and use the word "unlimited" for non-impact foods like vegetables and tea. Usually, the back end is filled with recipes and a few pages on "how to get started." Essentially, they provide a structure where there was no previous structure. Normally, when someone begins one of these diets, the feedback is raving—five stars. "I feel great!" "I haven't felt this good in years!" "I'm never hungry!" How can all these different diets illicit the same responses? It's the contrast between diet A—no structure—and diet B— structure. If you live in the dark, the first ray of light is blinding. What should we make of all this? It's hard to look at a person who "finds God," begins going to church or temple, volunteering for charities, praying or meditating nightly, and is happier overall, with a cynical eye. It can be done, but to what end? Why should we bother pointing out any flaws? If they are not a danger to themselves or others, what's the point? Some people are indifferent to faith and don't care, but there are others who live to ridicule it. It's silly and unnecessary. Is it the same with diet? In the fitness industry, everyone is jostling for position inside the market. What Does Your Diet Book Teach? Sometimes the loudest and most ludicrous person peddling the most laughable gets noticed. There are others—myself included—who relish poking fun at it all. But, if the diet helps someone, somewhere, is it worth ridiculing? Some diets are a danger to others, and the authors know it. Those vermin deserve a royal smackdown. For an innocent laugh, they are all fair game for a good trolling. But, I can't help but think of the people who are loyal to their paleo cookbooks, their vegan ethics, or even the can-you-top-this attitude of flexible dieters. They're trying, and bless them for doing so. For the most part, faiths attempt to teach us about ethics, values, and virtues. Diet books, for the most part, strive to teach better food choices, cooking habits, and portion control. Yes, they don't always get it right, and unfortunately, some followers go off the deep-end. Being a good person of principle is not drastically different from being a good dieter: let go of the ego and the air of superiority, be consistent, practice daily, understand you'll make mistakes, and be good. Tom Hardy's a fighter in the new comic book flick Venom. That much is clear from the trailers and clips that show him going head-to-head with police and supervillains. To prep for the film, Hardy trained in boxing, jiu-jitsu, and mixed martial arts with professional fighters. 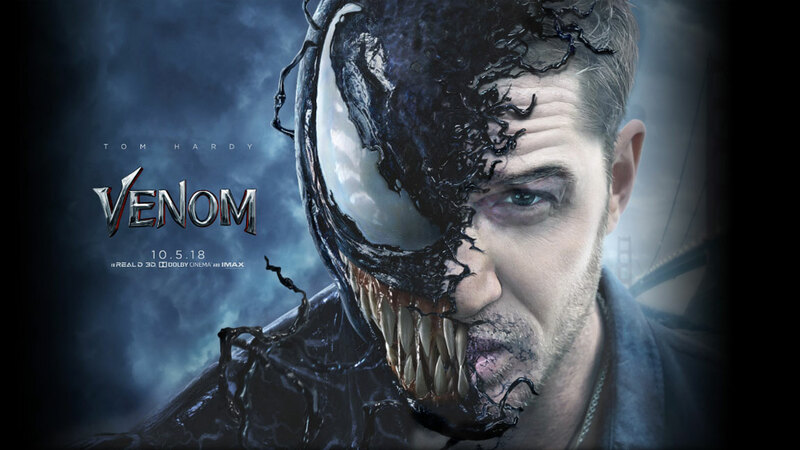 With that in mind, it’s no surprise Hardy took inspiration from UFC fighter Conor McGregor for his work in Venom. In an interview with RTÉ Entertainment in London, Hardy spoke about the film and the influences he used to portray Eddie Brock. "...the studio wanted somebody who could fight, which they always do in these sort of hero movies,” Hardy says. “They want somebody who can have a scrap. Conor [McGregor] obviously wants to have a scrap with everybody, so that's useful." Hardy didn’t try to do an impression of McGregor, but tried to channel his mindset and personality to develop his performance. The actor also took inspiration from a Hollywood legend: “There were bits of Harrison Ford as well from Indiana Jones,” Hardy says. This isn’t the first time Hardy's played an iconic comic book character. Hardy starred as Bane in The Dark Knight Rises, battling Christian Bale’s Batman after adding pounds of muscle to his frame with an intense body transformation. In Venom, he’s playing a character that's classically a villain to Spider-Man; but in the comics, the character also had some heroic storylines. This film is loosely adapting two of those--Lethal Protector and Planet of the Symbiotes—and making Hardy’s Venom more of a good guy than a bad one. Just like those stories, the film will follow Brock as he investigates the mysterious Life Foundation and is forced to battle against other alien symbiotes that have similar powers to Venom. Well, it's been nine months since that interview and Hall has managed to shed about 60 pounds (or 26.5 kilograms), going from 430 pounds to a lean 373. To get there, he's been logging five cardio sessions a week, "including boxing, cycling, swimming, and HIIT land training," in addition to the four 2-3-hour-long weightlifting sessions he crushes per week. And while he still lifts heavy-as-hell (see video below), Hall seems to have adopted a bodybuilding-style training philosophy, focusing more on time-under-tension (TUT), and muscular contractions. Ok, but not all competitors have extreme guts—take this year’s Mr. Olympia, Shawn Rhoden as an example—so how can one prevent gut growth? My alarm goes off. I look at my phone and see that it is 5:30 am. I just went to bed five hours earlier because I was stuck in a Netflix binge-watching session. As I get out of bed, I notice my back feels tight. I lethargically walk over to the coffee pot in hopes that the caffeine will be what I need to get me going for my morning workout. I pull into the gym parking lot at quarter to 7 am. I have no motivation or energy for a workout, and as mentioned before, my back is not feeling right, and the only reason I am even going to the gym is that I know it's good for me. Have you ever been in this situation when you show up for a workout and you aren't feeling it? We hope that every time we show up to lift we will be feeling physically and mentally ready to wrestle a grizzly bear and be able to bend steel bars with our fists. But how often does that happen? It seems like our mind and body are often not in tune. You show up mentally ready but your knee has been nagging at you for the past few days and it’s leg day. Or maybe you are feeling great physically, but your head is some place else. What do you do in this situation? Give up and go home and hope tomorrow is better? What if the program has you doing three sets but you feel amazing? Is it ok to do four or five sets? This is where intuitive lifting comes into play. Intuitive lifting helps you optimize the 80% of the time you feel OK, helps you pull back 10% of the time when you show up not be feeling it, and takes advantage of the 10% of the time you feel terrific. At its core, intuitive lifting is listening to what your body is telling you at the present moment and making adjustments to get the most out of your body in its current state. It takes into account sleep, stress, nutrition, and how your body is feeling with movement. Sleep: How was your sleep quality the night before? How much sleep did you get (more or less than 8 hours)? Stress: How anxious do you feel? Do you feel recovered? Motivation level? Is your resting heart rate higher than usual? Nutrition: Are you hydrated? Have you had vegetables at each meal? Eating protein at each meal? Your Body: Are you stiff or feel restricted? If yes, where? Is there discomfort in a specific movement? If yes, does warming up help? Not feeling great in one of these areas is not a cause for concern or a reason for you not to workout, but if you see there are more negatives than positives showing up, then that is something to make a note of. Intuitive lifting doesn't mean you do what you enjoy every day. You need to follow a workout plan that is designed for your goals and capabilities. Doing what you like doesn't push you to the level you need to achieve your goal. When assessing sleep, stress, nutrition, and movement try not to be subjective. Recognize if you are making a decision based on how your body feels versus where you are emotionally. Most of the time our bodies can do more, but we emotionally feel we can't. There are times when your emotional side is correct, so you do need to listen to it from time to time. With the information you gather from your self-assessment you should make tweaks to the program, not overhauls. Example: As you are warming up for your deadlift your back doesn't feel right. A tweak would be trying squats that day or turning your deadlift day into a focus on form and working at loads below 50% of your one rep max. An overhaul would be to throw the program out and turn it into an "I do whatever I want” workout. One of the many reasons to warm up is to give yourself an idea of how your body is feeling that day. As you go through your warm up you might notice your shoulder is feeling a little cranky or as you are doing squats your hips are feeling a little tight. Sometimes all it will take is doing a little extra warming up of that area and you can go on with your normal workout. But that is not always the rule. You find what feels good. For the shoulder, you might have a barbell overhead press but you find that for today dumbbells feel better because they offer a better range of motion. Or maybe having more stability with a bench feels better, so you try a dumbbell incline bench press. In the case of the squat, you might find going to a box feels better because it adds more stability. Or you could try single leg movements like split squats and lunges. When things aren't feeling right play around to see if you can find an alternative that does. Sleep and nutrition are the cornerstones of recovery. If you are not getting 7 to 8 hours of sleep consistently, you will be limiting yourself on the results you could be getting. If you are trying to workout on four hours of sleep you would be better off taking a 20 minute nap than working out. Keep the working weight the same. If you are feeling good, meaning the bar speed is staying the same throughout the movement and form is maintained, do a few more sets until you feel either the bar speed drop or your form starts to regress. This method will allow you to get in a few more working sets on the days you are feeling good. About 80% of the time you will be able to run your normal workout, but sometimes life doesn't go as planned and you feel off. You need to know it is OK to tweak your plan. The body is ever-changing and a program that was made weeks or months ago needs to be able to change with you, as well. Larry Wheels was built for the 2018 fitness scene. His incredible strength combined with his social media acumen is the perfect marriage to show off his viral feats of absurdity on a nearly daily basis. It’s amassed him a following of over 460K on Instagram and over 150K on YouTube, and each video seems to set a new bar for what this guy is capable of (and he hasn't even hit his peak yet). We showed you earlier this week how he easily handled 225 pounds on the bench press WITH ONE ARM! Now he’s back to the same weight, though he’s using the far more traditional two-armed method of bench pressing. But Wheels and convention don’t necessarily mix, so of course this 23-year-old phenom rockets the weight off for a set of 70. OK, time for perspective. At this year’s NFL combine, the most reps anyone hit on the 225 bench was 42, courtesy of Harrison Philips from Stanford, who was later drafted as a DT to the Buffalo Bills. According to Cleveland.com, the most reps ever at the combine was in 1999 when Justin Ernest of Eastern Kentucky hit 51. 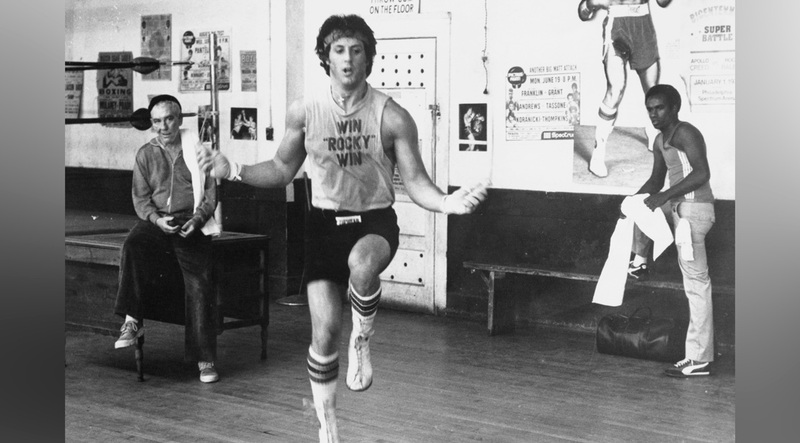 Here’s the thing: getting 51—or even 42—reps is incredible. What Wheels did, though? That’s just otherworldly.